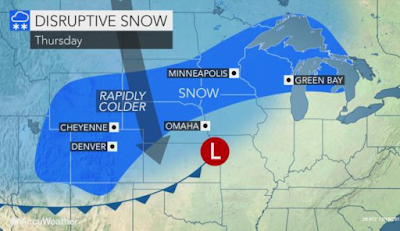 AccuWeather has details on the windy snow system for Thursday and Thursday night. More holiday weather later today. "I Highly Recommend This Exceptional Book"
Would YOU Want to Tell Him He Cannot?! Congratulations Wichita and Spirit Aerosystems!